At Ecard Shack we love to scan the internet and find examples of where well thought out advertising campaigns have been scuppered by bad placement. 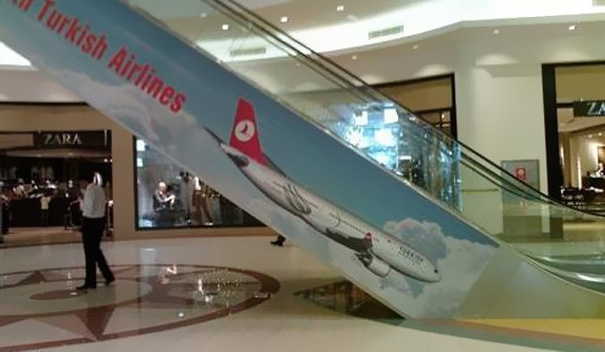 It’s always a good idea to check out how your poster or advert will look in a variety of situations. If you are putting an ad in a newspaper for example, it’s useful to know what it is going to appear next to. If you have a health club advert then you don’t want it appearing next to an ad for a funeral parlour. Well you can be sure that the holiday e cards for business at Ecard Shack will certainly not put your brand reputation at risk as all of our designs are presented with an elegance and taste that is sure to please the masses.